Amutha Valli Krishnan, the 'exercising exorcised' woman at the heart of the recent court case against Novena Church does in fact suffer from post—traumatic stress disorder, even though she may have dressed well to attend temples and restaurants, and showed no fear of strangers in public. This is according to Dr Ong Thiew Chai, her former psychiatrist. Dr Ong has given his testimony against the Novena Church for allegedly forcing an exorcism on Amutha, which likely caused her stress disorder. As cab be read in my previous article (Singapore Woman Claims To Have Been Exorcised - Video Shows That She's Really Been Exercising! 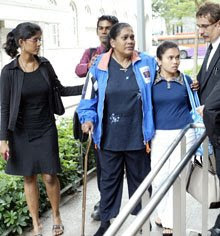 ), Mdm Amutha, a former part—time tutor, is suing the church, two priests and six church—goers for allegedly performing the exorcism on her on 10 August 2004. According to Mdm Amutha's account, she fainted in church while praying and was led to a room where she was restrained and assaulted. However, the defence said her family members asked the church priests to pray over her because she was possessed and suicidal. Although she claims the incident has traumatised her and she is now unable to live a normal life, Senior Counsel Jimmy Yim said Amutha could probably be faking her mental disorder. Counsel Yim made reference to the video footage filmed by a private investigator that was shown to the courts on Tuesday, in which Amuthu (dressed in bright—coloured outfits), was seen walking normally and exercising at the gym. He questioned Dr Ong if he thought that was how a patient suffering from post—traumatic stress disorder would behave. Dr Ong stood by his diagnosis, saying the video perhaps showed "one of her better days". Dr Ong did continue on to admit to the court that it is possible that Amutha dresses down so as to look sickly when she is at the hospital. Dr Ong noted, from the video footage, that Amutha still had a vacant and absent expression on her face, and walked slowly with short strides. All these were consistent with his impression of her during their medical consultations and his PTSD diagnosis. Dr Ong also gave an example, saying that he is terrified and fearful of going to court, but he is still in court as a witness. 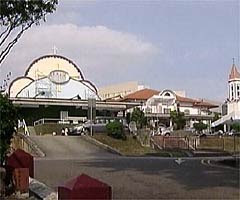 Therefore, Dr Ong added that this is "not a constant fear". He said Amutha could still do things even though she had fear. The statements by Dr Ong, 'put the cat among the pigeons' so to speak, and prompted another defence lawyer, Anthony Lee, to question why Dr Ong was reluctant to say that Amutha was malingering. He asked Dr Ong if he was afraid Amutha would sue him if he changed his initial diagnosis or that he did not want to appear unprofessional by changing his diagnosis. Dr Ong's reply was: "I took a chance of looking like a fool when I came here." Dr Ong has been on the witness stand for the last three days, and he is expected to continue on Thursday. Two other doctors from the Tan Tock Seng Hospital’s Accident & Emergency department will also testify on Thursday. 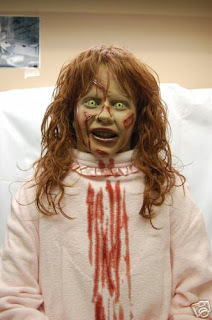 They were the first to treat Amutha right after the alleged exorcism in Novena Church. Lawyers are expected to cross—examine them to find out about Amutha’s condition and behaviour before and after the incident.